Hungary's Prime Minister Viktor Orbansigned a decree classifying the merger of pro-government media outlets as being of "national strategic significance in the public interest"
A police decision to close a corruption probe linked to Prime Minister Viktor Orban's family "strengthens doubts" about the independence of Hungary's law enforcement bodies, an EU official said Wednesday. A Hungarian police spokesman said Tuesday that a probe opened in February on the basis of findings by the European Union's anti-fraud office OLAF had been terminated. A "crime did not take place," Kristof Gal told the Hungarian news agency MTI. The outcome of the Hungarian pro be was "surprising," said Inge Graessle, head of the European Parliament's budget control committee, as the OLAF report contained "strong evidence". The decision "leaves and strengthens doubts on the independence of Hungarian law enforcement authorities and reinforces the need of a real tool to protect EU financial interests in future," Graessle posted on Twitter. In January, OLAF said it had uncovered "serious irregularities" and a "conflict of interest" in Hungarian public lighting projects involving a firm once controlled by Orban's son-in-law. Elios was part-owned at the time by Istvan Tiborcz, the husband of Orban's eldest daughter, and by a second man who also owned another company advising local authorities on public tenders. That raised the question of a conflict of interest. According to local media reports, Tiborcz also holds considerable real estate assets -- both directly and indirectly owned -- including a number of castles and hotels. Orban's critics have long accused him of presiding over a corrupt system that enriches his close associates, a charge denied by the government. "The Hungarian authorities examine every case brought before them, and this is also what happened in this instance," a government spokesman told AFP Wednesday. 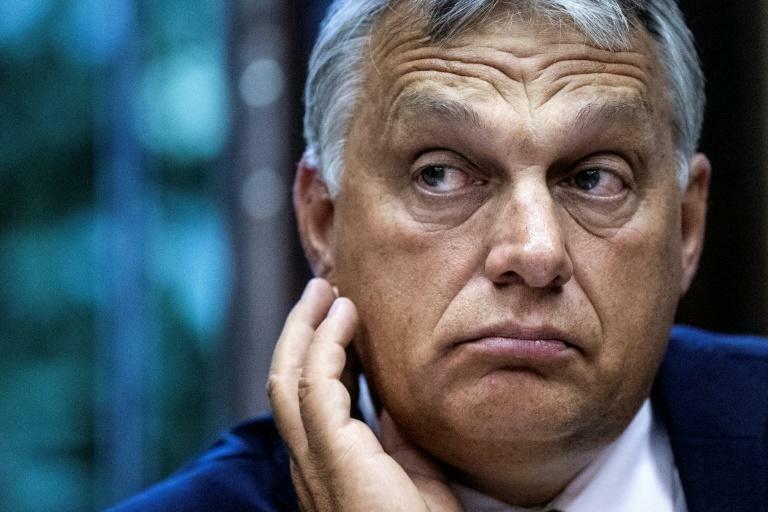 "After several months of investigation, it has been proved that the 'Elios Report' was nothing but a political campaign ploy from Brussels," in the run-up to Hungary's election last April, said the official. "Pro-immigration politicians in Brussels thus attempted to influence the (election)...with slanderous accusations," said the government spokesperson. Opposition parties have condemned the police decision as a sign that certain people are "untouchable". On Wednesday, they urged Hungary to join the EU's planned independent European Public Prosecutor's Office (EPPO) body, whose job will be to investigate and prosecute EU budget fraud. Hungary is among six of the bloc's 28 member states that does not plan to participate. The government's position has prompted an independent Hungarian lawmaker to mount a drive to collect a million signatures to try to pressure the government into signing up.